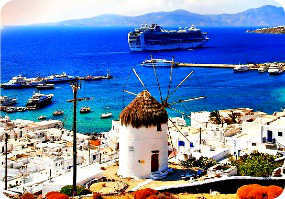 Book now the best shore excursions for private groups in Greece. Personalized tours at low cost price. Book our Group Excursions Greece, the best tours for groups and individuals, customizable to the needs and interests of each customer. The service is offered at a cost for the group, so the cost of the individual will decrease according to the number of participants. The formula Group Excursions Greece be released from the conditions laid down in the standard service, therefore, is not subject to the achievement of a minimum number of participants (the service is available only for two people). 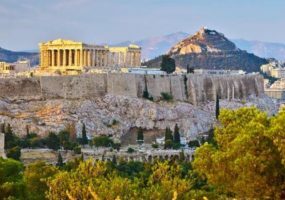 In the city of Athens we will visit Syntagma Square, which gathers around him the Palamento Hellenic and the Monument to the Unknown Soldier, guarded by guards who wear the traditional Greek clothing. Always around the square there are palaces and historic sites, such as the Hotel Grande Bretagne in 1843. This square, off limits to tourists for many years due to the construction of the metro, home to shops, cafes and restaurants that give a little relaxation to travelers. 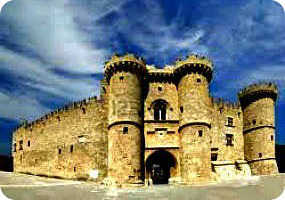 From the port of Kerkira we arrive at Gatouri, where we will visit the famous Achilleion Palace. Its fame is mainly due to the fact that it was the residence of Princess Sissi, which, come to Corfu, he fell in love so much that in 1889 he decided to buy you a villa. The mansion was demolished and rebuilt by taking the name of Achilleion Palace, in honor of the so dear to the greek warrior princess. On the road leading in Kanoni, in the Chalkiopoulos lagoon, we will find another interesting attraction of the place: the Monastery of Vlacherna, a very special building that stands on a small island. 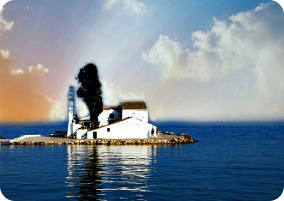 With time to spare, we will also visit the verdant islet of Pontikonissi (literally, “the island of the mice”) a short distance from the monastery. The ancient Kos is located nearby of the port. Already there we can admire the fortress of the Knights of St. John of Rhodes that connects to the rest of the city via the bridge of Palms. They will visit the remains of the temple of Aphrodite, the Temple of Heracles and the ancient Agora. The Roman period we will find the remains of the baths, the gym and the Odeon, an area dedicated to listening to the music. In this area of town it is also the tree of Hippocrates. Walking the streets of the city will encounter many historical remains and Byzantine churches. The history of the Meteors begins in the eleventh century, when hermits retreated in these places, chosen for their tranquility and, certainly, for their beauty. The monasteries reached their heyday in the fifteenth and sixteenth centuries, when they were twenty-four (now there are only six). 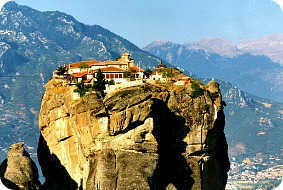 It is the second largest Orthodox monastery in the world, after that of Mount Athos. It should keep in mind that to reach the monasteries have to climb 180 steps and, unfortunately, there is no access for wheelchairs. Moreover, inside the monasteries you are not allowed to take pictures or make movies. Known for its white beaches and clear waters, our tour begins in Mykonos immersing ourselves in these natural wonders can relax strolling on the most beautiful beaches and enjoy its wonderful sea. After lunch, we drive to the historic sites and attractions of our hike, as the Virgin Cathedral and the Little Venice, an area that extends from the Alefkantra beach, up to the Castle District. White houses and flower-filled balconies, windows and doors which open directly into the sea, buildings dating back to the eighteenth century and now used mostly by locals. 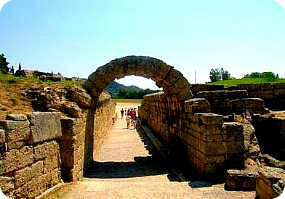 Starting from Katakolon will visit the important archaeological site of Olympia. A sacred place of ancient Greece, where the Olympic Games were born. In the archaeological site are: the Temple of Zeus, the Temple of Hera, the Gymnasium, the Hippodrome, the Stadium. In this symbolic place the Olympic flame is still lit every four years. During the ‘excursion to Olympia, the guide will explain the fascinating history of these games that were the celebrations not only athletic, but also religious. The museum contains objects reported to light by archaeological excavations, from the sacred enclosure (Altis), the sculptural decoration of the temple of Zeus, the most important example of Greek art, the statue of Nike by Paionios and the richest collection of bronzes world. The first stop on your tour will be Lindos. Here we will visit the port of Agios Pavlos, the Acropolis and the Temple of Lindia Athinadel, the ancient theater and refreshment of the Temple of Dionysus. 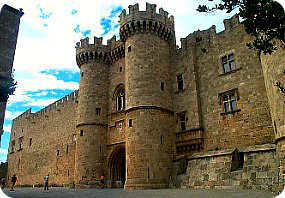 From here, we head to Rhodes, where we will visit its historical center: the ancient acropolis of the city dedicated to Zeus, Athena and Apollo; from there we continue on to the “new city”, via the port of Mandraki. At the end of our tour, we will visit the Avenue of the Knights and the Palace of the Grand Master. We meet the guide in the Old Port, where we will take the cable car. Then we’ll travel by bus up to Oia, the most beautiful island country, one of the most representative things to do in Santorini. 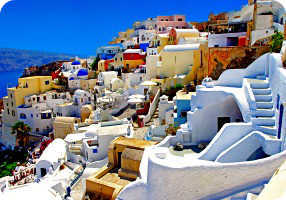 From Oia you can enjoy the best view of the caldera, as the bay is enclosed by rocks. Also from there you can admire the houses with strange shapes of the local tradition, charming domes, magnificent abandoned houses and almost labyrinthine alleys. This view will tell you that it is worth it get up there.